« Do One Thing at a Time. 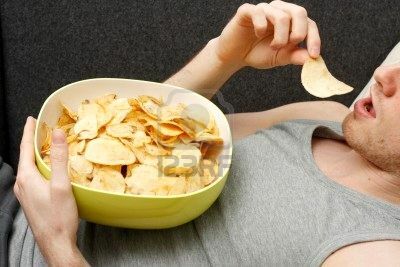 Unhealthy Thought Habits: Potato Chips for the Mind. Today we ask that you release your habitual thought patterns. Habitual thought patterns are like bad eating habits. They are things that the mind loves to “chew on,” the way people like to chew on sweets or potato chips. It is not good for you, but there is an addictive urge to do it anyway. Habitual thought patterns are things that you often find yourself thinking about that have nothing to do with your present reality. Grievances about people who wronged you in the past. Grievances about things that happened to you in the past that you feel you did not deserve. Worrying about the future. Particularly things that you have no control over, like aging, or the long term fate of your children, or the long term fate of the planet. Fantasizing about the future. Imagining where you will be when you achieve some kind of success that you do not currently have — the “dream house,” or the “dream vacation retreat,” for instance. Fantasizing about your children’s future achievements. Fantasizing about achieving recognition that you do not currently have. As you may perceive, habitual thought patterns tend to take recognizable forms. They always take you out of the present moment. They occur in the past, or the future. They want things to be different. They want your past to be different. They want your future to be different. They continually analyze your past, obsessing over what you and/or other people did wrong. They continually strategize about the future, seeking to control events and so prevent new mistakes from occurring. These thoughts want to “fix” everything. It is very easy to get caught up in the flow of this kind of thinking. It is as easy as mindlessly eating a whole bag of potato chips, or a container of ice cream. It is not good for you. Please understand this. When your mind is off in the past or the future, part of you is not here. This actually drains your life essence, and prevents you from doing things in the here and now. It is a cause of chronic fatigue and nervous exhaustion — for the mind utilizes a great deal of physical energy engaging in these fantasies and projections. Your physical body is hard pressed to supply your brain with the energy required to run these programs. If you notice yourself caught in a habitual thought pattern, the best thing to do is change your state. Get up. Breathe. Do some simple exercises. Get back into your physical body. Get back into the here and now. You truly have no idea how much this can benefit you in your daily lives.